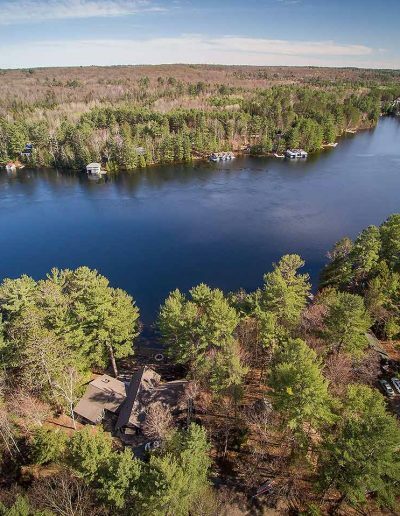 Welcome to Birch Haven, a turn-key classic Muskoka cottage that has retained its Muskoka charm to create a truly accommodating four-seasons retreat. 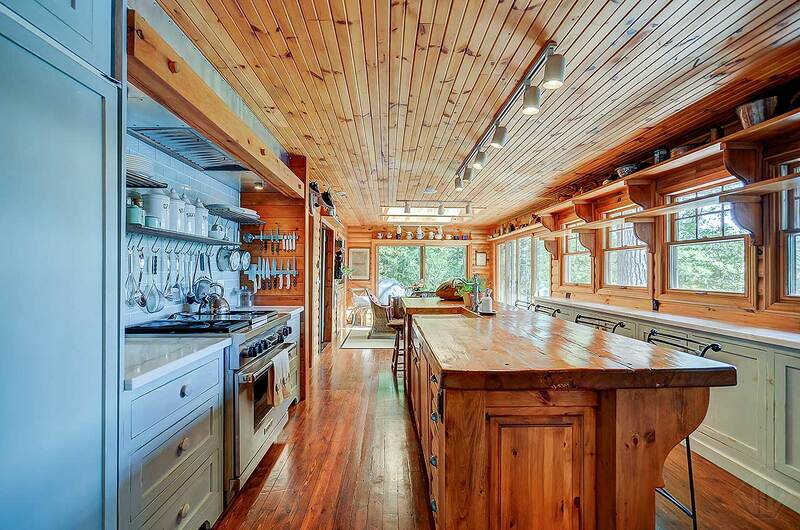 Living space : 3,023 sq.ft. 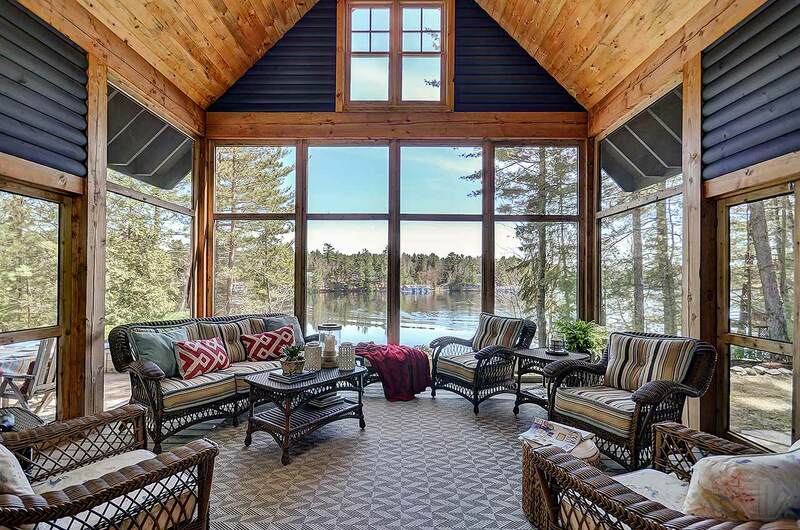 Welcome to Birch Haven, a turn-key classic Muskoka cottage that has retained its Muskoka feel to create a truly accommodating four-seasons retreat. 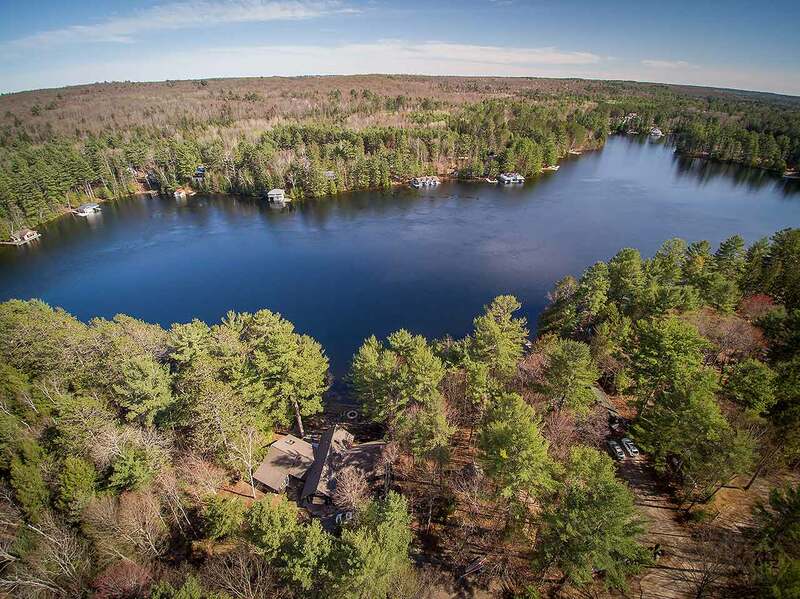 Here you’re just two-hours from Toronto, only 5 minutes to Baysville, and 15 mins from Huntsville or Bracebridge. Just a short boat ride to the world class golf course, Bigwin Island, a sold out private course. 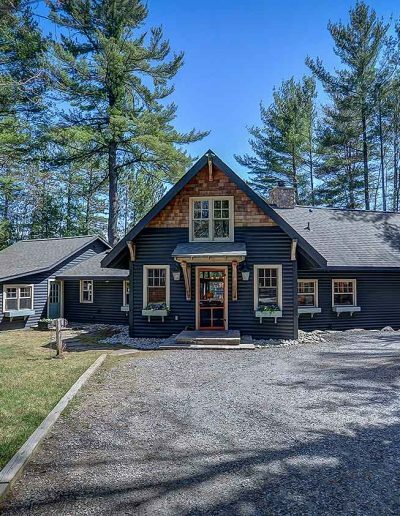 This cottage allows the opportunity for a transferable membership. 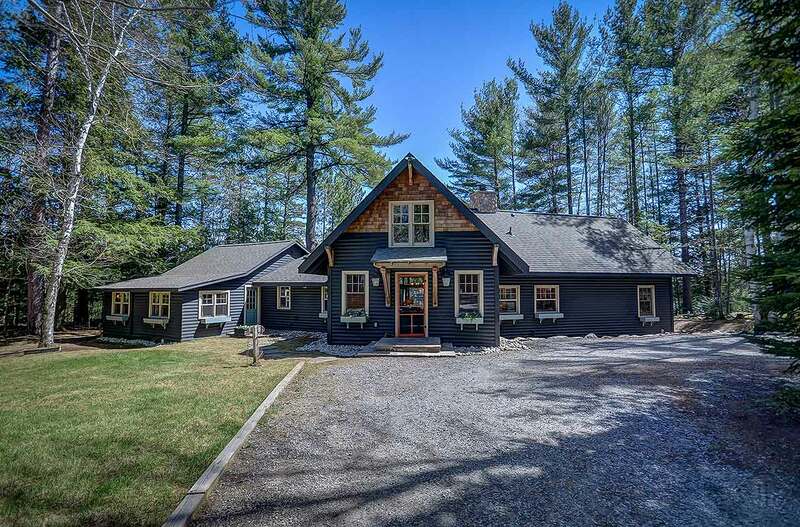 Surrounded by towering trees and nature, with a generous 225 frontage on Lake of Bays, this charming cottage was inspired by the craftsmanship design style with wood throughout and reflects a bright and airy feel. 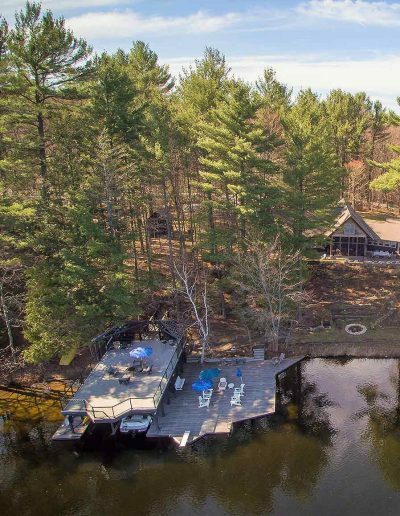 South-facing, on 1.231 acres, with bunkie and garage, the main home features four bedrooms with three full baths and a half-bath, including two ensuites. 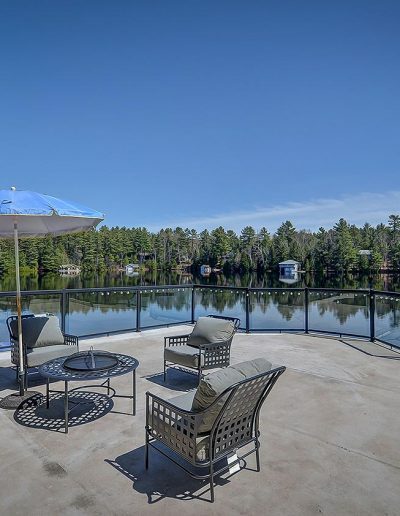 There is a gentle slope to the water’s edge and plenty of room to roam with ample private parking for your guests. 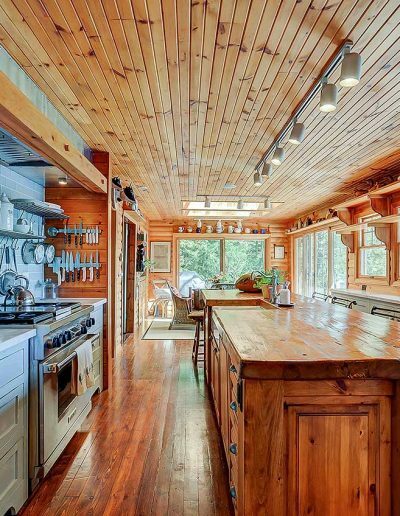 The impressive gourmet kitchen is perfect for casual get-togethers or more formal meals and features Wolf stove and Sub-zero refrigerator. And even a secret pantry off the kitchen with work area, storage and sink! Enjoy the dining room with its expansive walls of windows overlooking stunning views of the lake and nature. 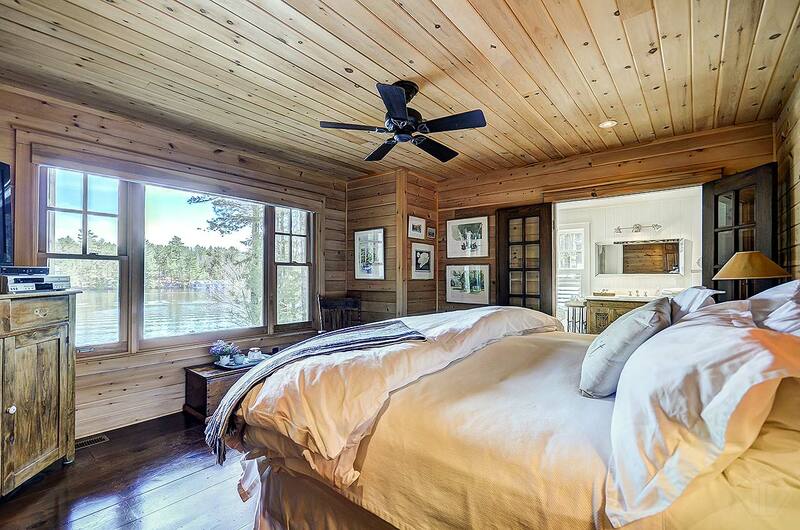 Wake-up to more lake views in the master bedroom with its beautiful ensuite with clawfoot tub, generous shower, office nook and walk in closet. 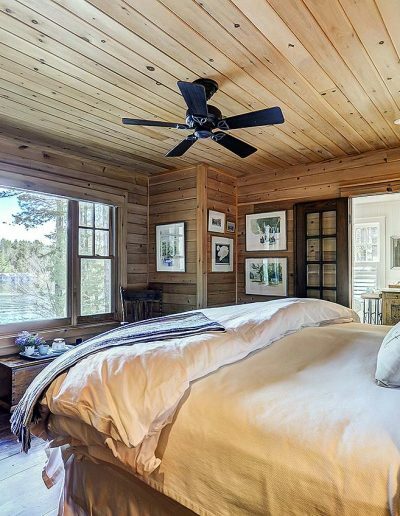 The bunkie offers an additional bedroom for sleep outs and overnight guests. 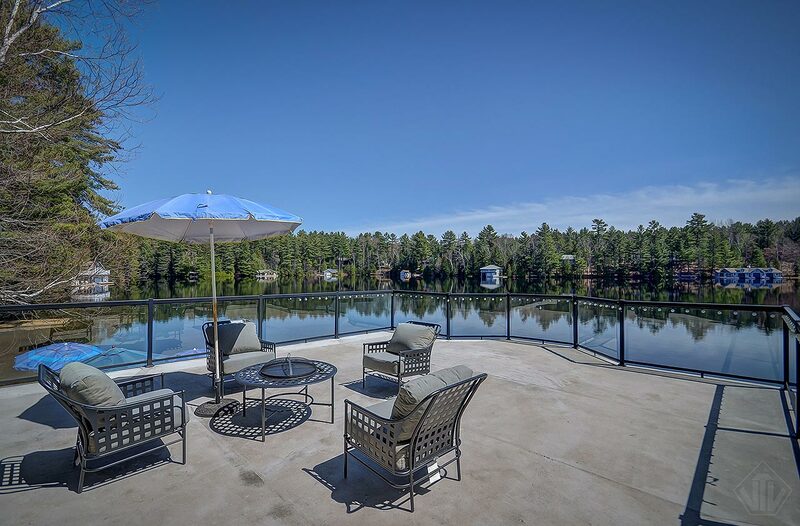 The 2 -tier boathouse is perfect for sunbathing or entertaining on the rooftop patio. There is a lovely stretch of sandy beach as well as deep water at the end of the dock with 2 boat slips. Great fishing too! 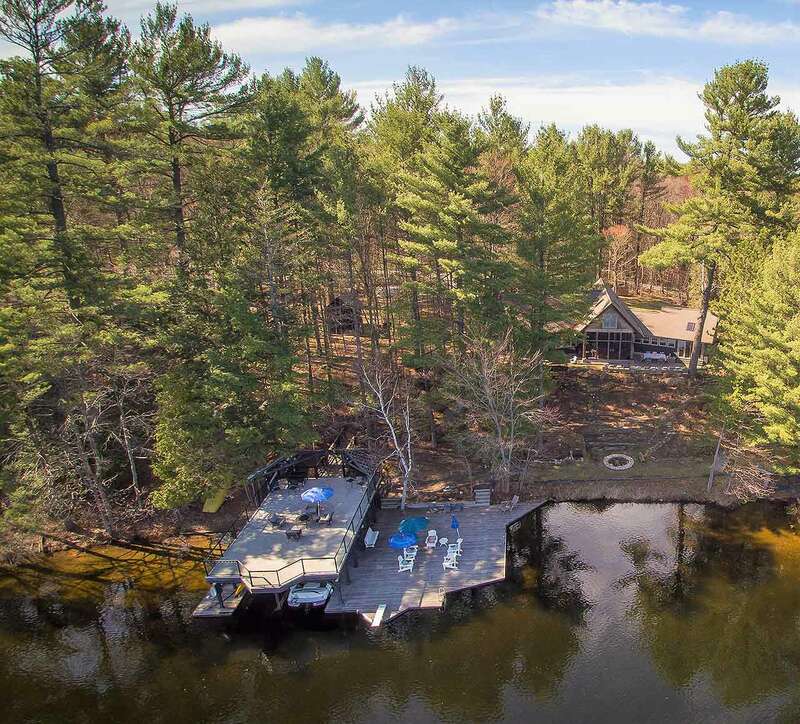 This property can accommodate any lifestyle: whether it’s golf every day or diving off the diving board from the lower dock into clear crisp Lake of Bays or entertaining on the 40 x 20 ft. upper deck—Birch Haven is the perfect opportunity to live and play year round in Muskoka. 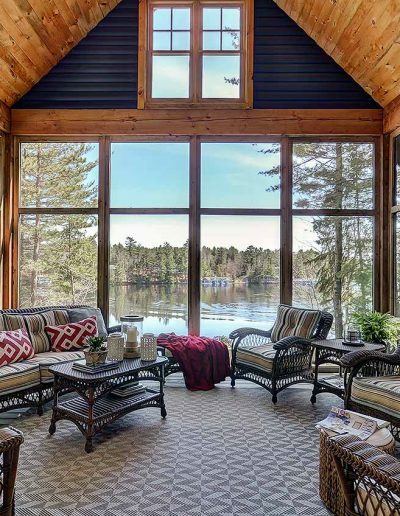 For languid days by the lake, this is the dream—and it can be your reality.